Photo of Prunus spinosa L.
Perennial shrub of the Rose family -rosaceae- up to 2.5 m. Numerous stems of dark bark with young twigs pubescent. Leaves thooted. White flowers, generally coupled along the flowering branches. 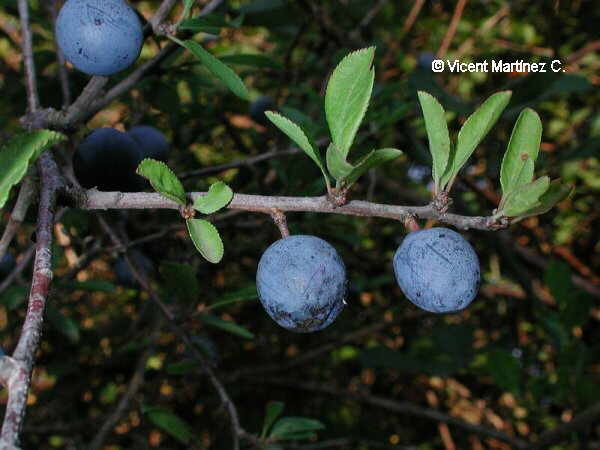 The fruit is a cherry black blueish. In hedges, steep slopes and non dry wood borders.